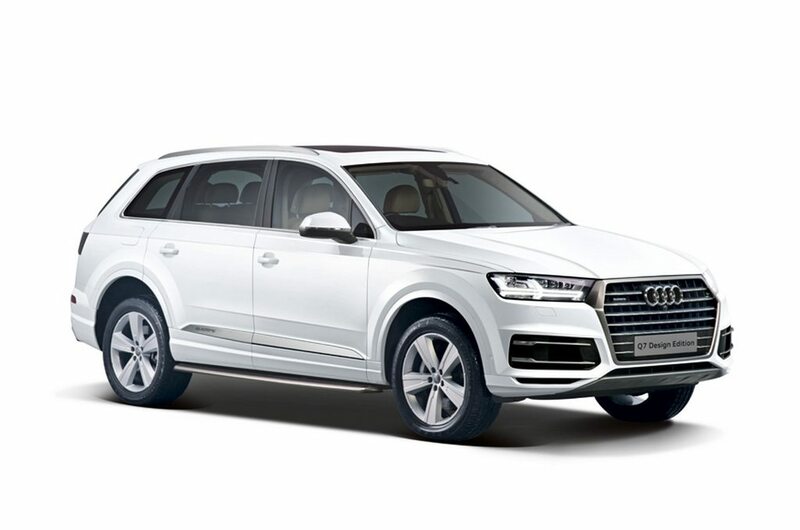 Audi has expanded the flagship Q7 range in the Indian market today with the addition of a new petrol engine. It is dubbed Q7 40 TFSI courtesy of the new naming structure the brand has adapted worldwide. As for the powertrain, a 2.0-litre four-cylinder petrol engine which is good enough to generate a maximum power output of 252 horsepower and 370 Nm peak torque will be used. The engine is coupled to an eight-speed automatic transmission sending power to all four wheels. It will aid the Q7 to do zero to 100 kmph run in 6.9 seconds, shaving two tenths off the 45 TDI diesel. The audi Q7 40 TFSI gets familiar features like electronically controlled air suspension with variable damping, Audi’s signature virtual cockpit system, 12.3-inch touchscreen infotainment display, panoramic sunroof, Parking System Plus with 360 degree camera and so on. The new Q7 addition goes up against petrol versions of the Mercedes-Benz GLS, BMW X5, Land Rover Discovery and Jeep Grand Cherokee. Its launch comes hot on the heels of Audi introducing the Q7 Design Edition a few days ago at a price of Rs. 81.99 lakh (ex-showroom pan India). Only 100 units of the Q7 Design Edition and A6 Design Edition each are sold in India. Costing at premium of Rs. 4 lakh over the standard 45 TDI Technology Pack, it gains smoked tail lamps, Audi Smartphone interface, projector puddle lamps on doors, 20-inch cast aluminium alloy wheels with five-spokes each, exhaust pipes and running board with glossy black finish while not having any body cladding. 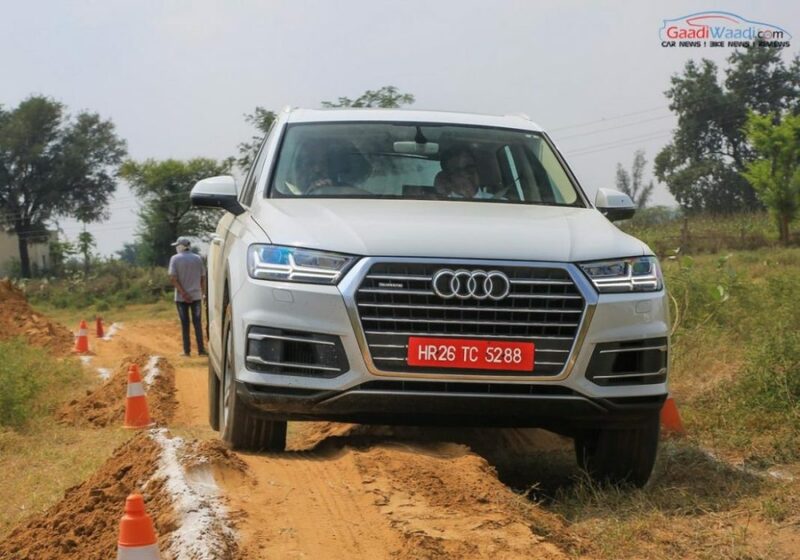 Currently, the Q7 is sold in Premium Plus and Technology Pack variants of the 3.0-litre diesel engine at Rs. 70.12 lakh and Rs. 77.84 lakh respectively (ex-showroom, New Delhi). The motor produces 2,45 bhp at 2,910 rpm and 600 Nm of peak torque at 1,500 rpm. It is mated to an eight-speed automatic gearbox driving all four wheels. The Q7 40 TFSI is also retailed in as much variants with the Premium Plus priced at Rs. 67,76,000 and the Technology Pack at Rs. 74,43,000 (ex-showroom). The top speed is claimed at 233 kmph and the fuel economy is rated at 11.68 kmpl. The only difference between the petrol from the diesel variant is the addition of ’40 TFSI’ badge on the tailgate. Some important features include Matrix LED Headlamps with signature DRLs, 3D single frame grille, 19-inch five-spoke alloy wheels, Cricket Leather upholstery in black and beige, selectable driving modes, four zone auto climate control, , Audi Phone Box with Wireless Qi-charging, 558 W BOSE 3D Surround Sound System, smartphone interface with Apple Carplay and Android Auto connectivity, driver side memory, electrically foldable third row seats, etc. The colour options in which the Q7 is offered are Carrara white, Floret silver, Graphite gray, Orca black and Ink blue. 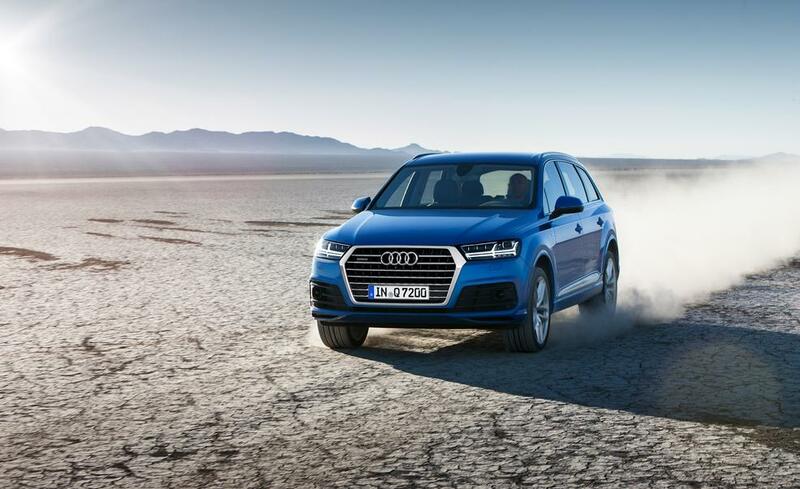 Audi said it has some other surprises lined up for this year while aiming to make its car fleet 50 percent diesel and 50 percent petrol and alternative drivetrains by 2020.